Ever smelled a dirty diaper? Especially a soiled one? Yes, they stink, big time. If you've never changed a soiled diaper before, you're in for a surprise. For all experienced mommies out there, we're sure you cannot agree more that dirty diapers can reek up quite a smell. Like the debate between disposable diapers and cloth diapers, whether you should get a diaper pail (an airtight bin for dirty nappies) or not is another dilemma facing many parents. Should you get a diaper pail? Why can't you use your regular trash can to dispose your diapers? 4. 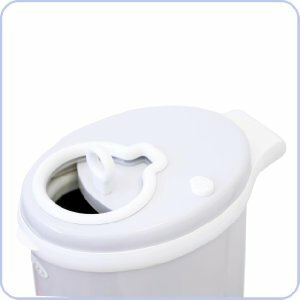 What to look for to find the best diaper pail? 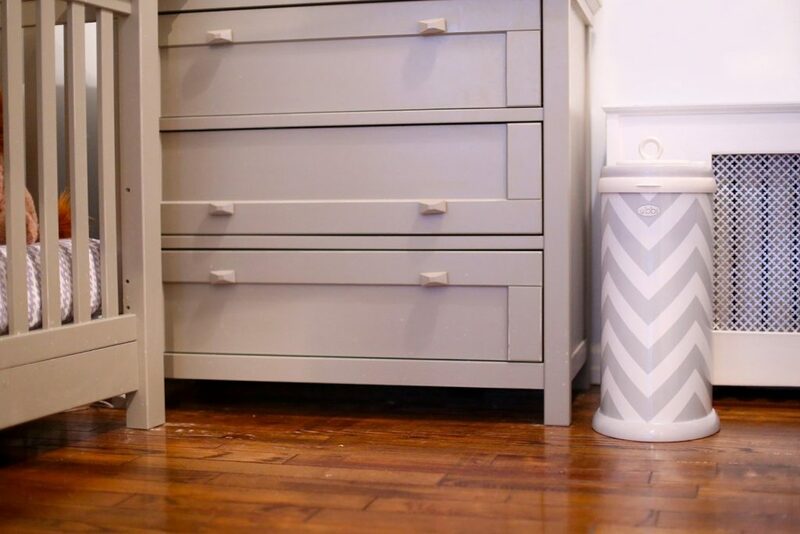 A diaper pail effectively eliminates any odor coming from a stinky diaper. This is something regular trash cans can never achieve. As these trash cans usually have plastic interiors, the nasty odor of dirty diapers will easily absorb into them and once permeated, such smell will never really go away. This will leave your nursery or bathroom a constant, unpleasant smell. With a diaper pail, this problem is eliminated. 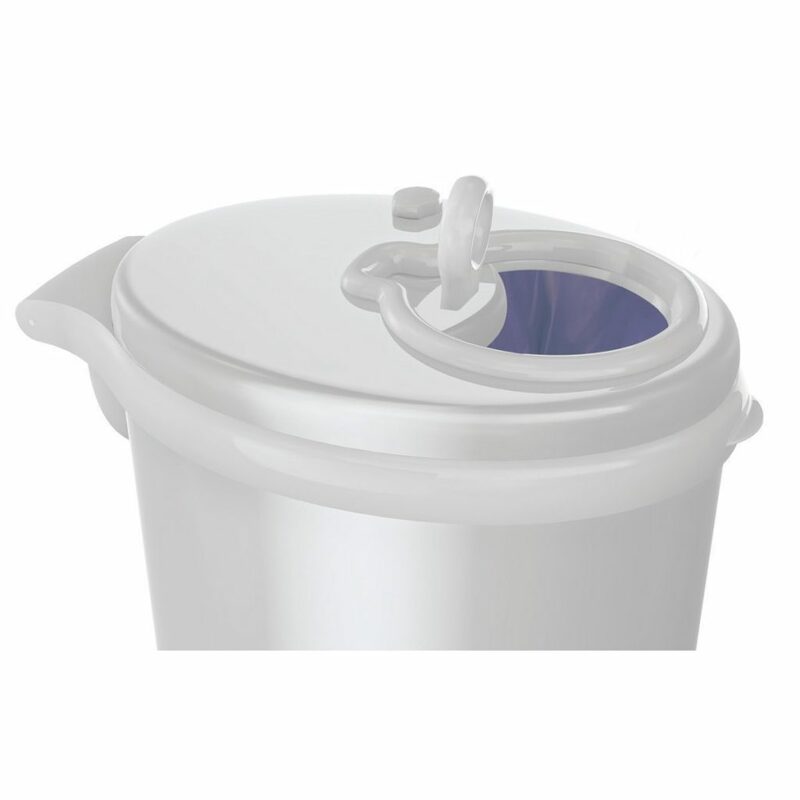 Diaper pails provide you a safe and convenient way to dispose ﻿dirty diapers. Now, unless you want to run to your outside trash can every single time to dispose a dirty diaper, which may be fine at first but trust us, it will quickly wear you out - especially when baby goes through 12 diapers (or more!) a day during the newborn stage, or when it's the middle of the night - you will need a diaper pail. It can store at least 30 (depending on the size and capacity of the pail) dirty diapers in one go, all perfectly sealed in without letting any nasty odor seeps out, before you need to dispose them in one go. Now that's convenience! Depending on the design, many diaper pails will allow you to safely dispose diapers using one hand only while you carry baby on the other! 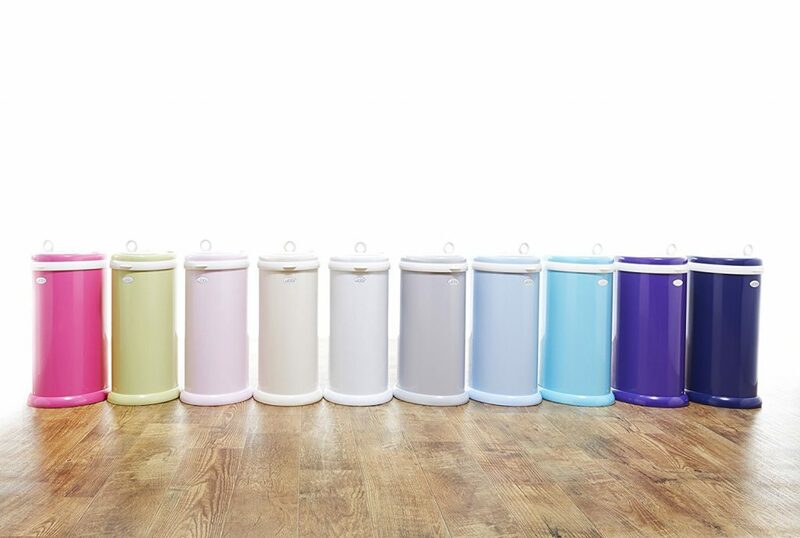 There is a reason why the Ubbi Steel Diaper Pail is so popular among parents -it is our all-time favourite for many reasons! First off, it is made of stainless steel material (as oppose to the usual plastic ones) ﻿and this﻿ keeps odor well contained because it is not porous. 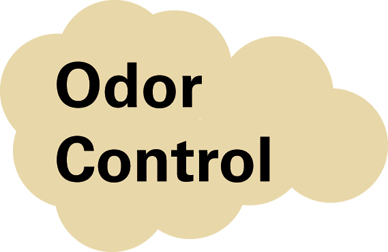 Odor cannot ﻿escape﻿ to stink your nursery nor will it absorb into the diaper pail (as it ﻿does﻿ to plastic ones) ﻿﻿and﻿﻿ make it ﻿smell﻿ over time. And if that is not enough, Ubbi goes one step further by installing rubber seals around the rim and sliding ﻿lid﻿ to make it airtight. 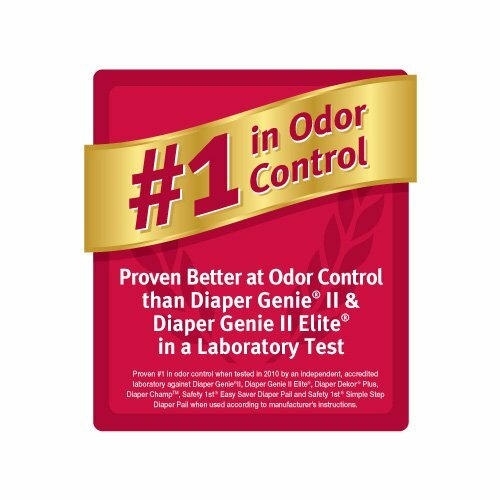 This makes the Ubbi the best diaper pail for odor control in our opinion. Another amazing feature of the Ubbi is that no special bag is required. This means you can use regular trash bags to save costs - though we would recommend getting diaper liners for better odor control but nonetheless, the option to use any trash bag is an attractive one. This includes reusable cloth liners or wet bags which makes it a top rated diaper pail for cloth diapers as well. If there is one thing to nitpick about the Ubbi, it is that it does not come with a foot pedal. However, it makes it up with its innovative sliding lid which minimises air disruption and you can still operate it with one hand. The slow-close lid ensure safety for parents and the child safety lock gives you peace of mind that there is no unwanted "exploration" by baby. Capacity wise, we are impressed that it can store up to 50 newborn diapers in one go - which is about time you empty it anyway. 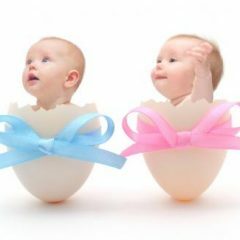 Of course, its capacity will decrease as diaper sizes grow bigger so that is expected, as with all other diaper pails. Plus the 17 colours and designs available for you to choose from, you can certainly find one that suits your interior design and aesthetics. With all these amazing features, it is no surprise that the Ubbi Steel Diaper Pail has so many awards under its belt! We LOVE the Munchkin Arm and Hammer Step Diaper Pai﻿l almost as much as the Ubbi. 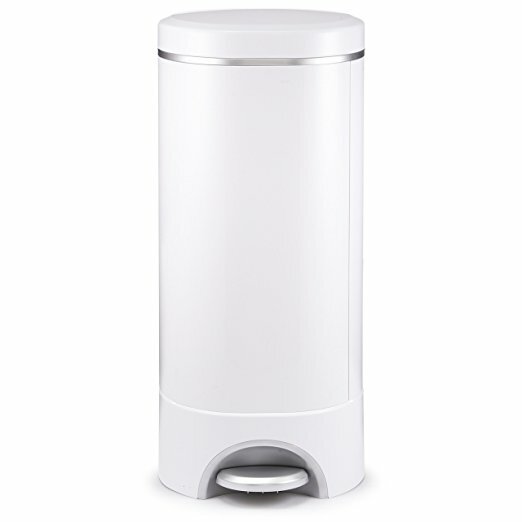 This is one airtight bin for nappies and is one of the easiest to use in the market. We cannot rave enough how much we love the design of the side door of this pail​ which opens up for you to remove the refill/liner once it's full. Don't underestimate the usefulness of this as a fully loaded liner can be frustratingly heavy which makes lifting it out from the top quite a hassle. The snap ring further makes the job easier as you can seal and replace them without having to cut or tie. Also, you can single-handedly dispose diapers by stepping on the pedal and push your diapers through the seal as shown below. ​We are very impressed with the odor control of this one. It has a patented self-sealing system which automatically seals the refill bag once it is closed to prevent any smell from seeping out. The lavender scented baking soda further takes odor control to a whole new level and we can safely say this is one of the best diaper pail for odor control (so much so that it is not afraid to compare itself with another hugely popular diaper pail - the Diaper Genie!). 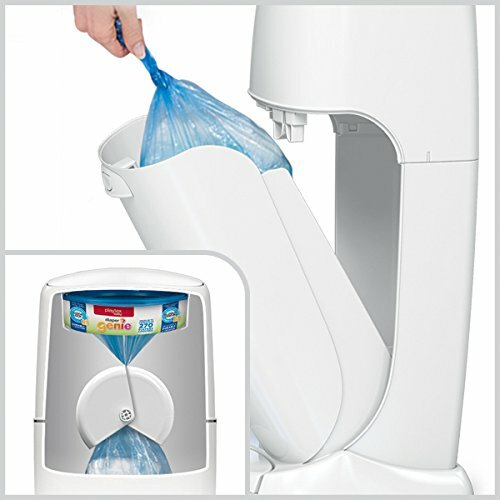 It is worthy to note that this is the only diaper pail system that works with both rings and snap, seal and toss bags. Once these run out, we recommend buying them in bulk to be cost effective, or simply replace them with your regular trash bags. 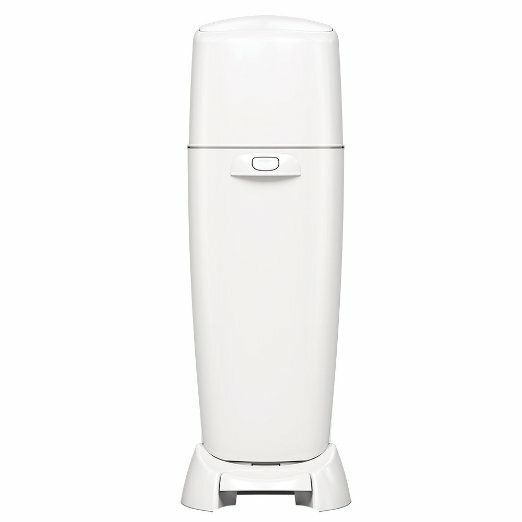 ​The Munchkin Arm and Hammer Step Diaper Pail is not as big as the Ubbi and it can hold up to 30 diapers only. While this is not necessary bad, in fact, it encourages you to empty the pail more often as the longer you store them, the smellier they get anyway, there may be some who would prefer a larger capacity, especially if you have a heavy wetter or are having twins. If this is your case, we have a solution for you right next! 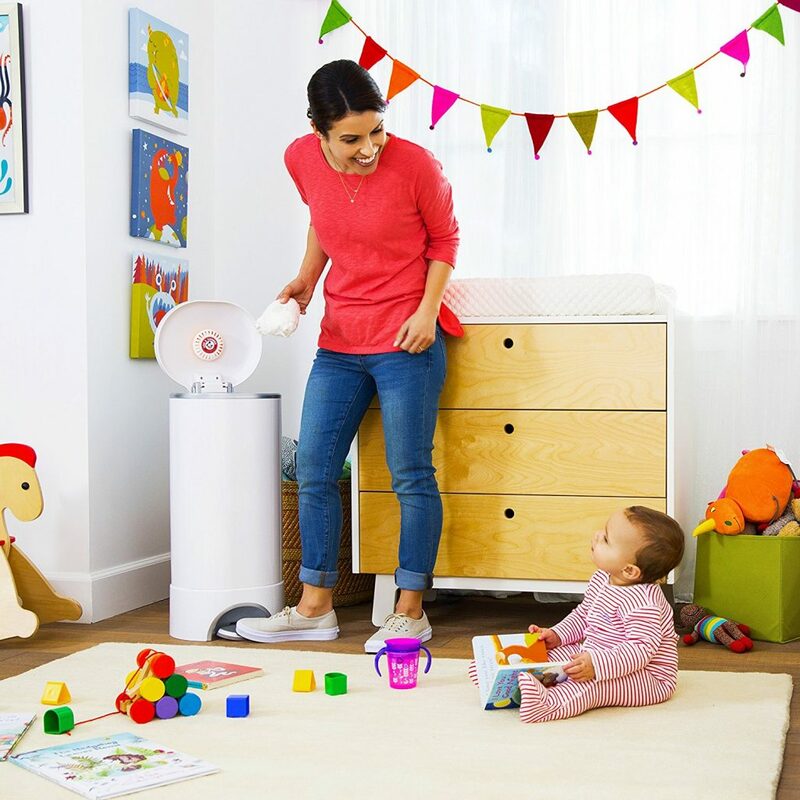 The Playtex Diaper Genie Complete Diaper Pail is an upgraded version of the hugely popular Diaper Genie Elite which sadly, was discontinued. We do not think it is as all-rounder as the Ubbi is, however, its large capacity is second to none. For those having twins, this will be a dream. The Diaper Genie has a ca﻿﻿rbon filter tray (which you can buy for refills) to absorb and lock in smells that try to sneak out when the pail is opened and the antimicrobial and double air-tight clamps further seal away any odor to keep your nursery smelling fresh. 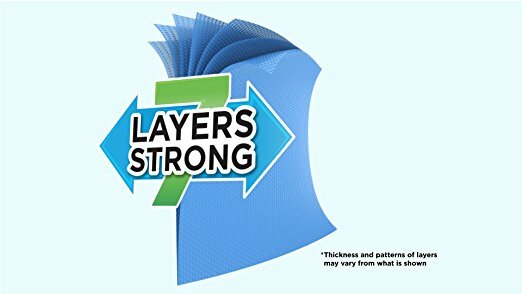 Use it together with their 7-layer refill bag (sold separately) that can hold up to 270 newborn diapers (we told you you’ll like the large capacity! ), you can be sure that this is one high performing odor fighter. Psst – we’ll let you in on a secret: regular trash bags can be used with the Diaper Genie. Simply insert your trash bag ﻿into﻿ the pail and wrap the top around the holding ring and it will work fine. Though it will not work as well as the Diaper Genie refills to keep odor sealed in – it is not the best-seller for no reason! 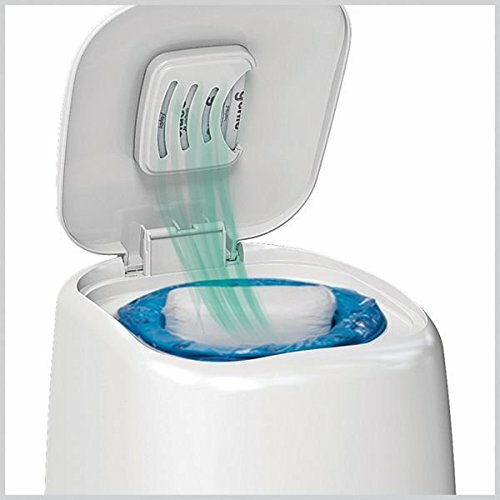 What we like about the Diaper Genie is that it has a foot pedal which allows for a hands-free and hygienic diaper disposal system and its tall design means you do not have to bend down at all. We also like that it has a front-tilt opening which makes emptying the pail so much easier. You do not ﻿have﻿ to lug the full bag out from the top which we note can be quite troublesome as it can be quite heavy. Keep in mind that you do have to squeeze your diaper through a squeezing mechanism and we note this may be something ﻿parents﻿ dislike. Also, though the Diaper Genie is made of hard quality plastic, it is not made of steel so it may not be suitable for cloth diapers. Nonetheless, this makes it a cheaper option than the Ubbi, and cost is always something important that parents take into consideration. 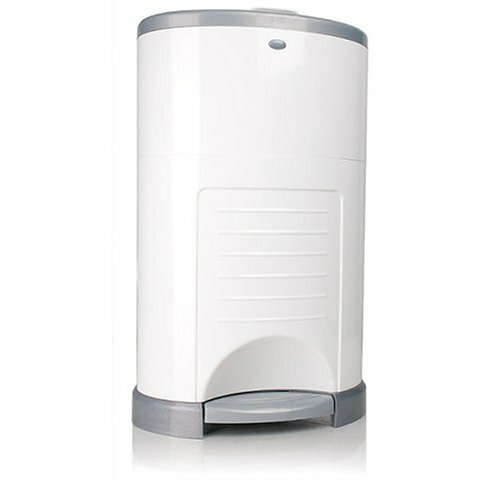 The Dekor Diaper Plus is another one of the best nappy disposal bin that helps keep your nursery odor free. 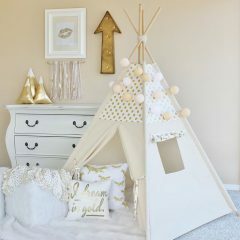 Its sleek and contemporary design will blend into any nursery easily. 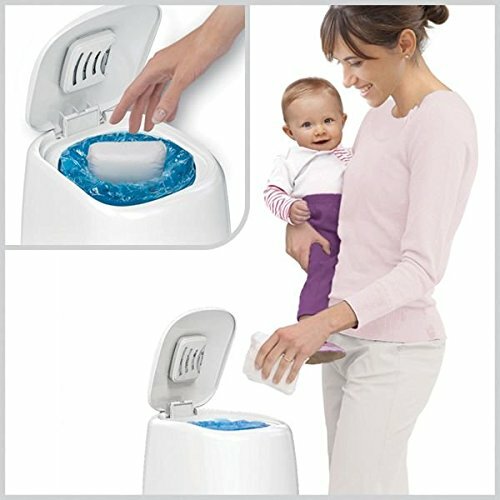 What we really like about this diaper disposal system is that it does not have a squeeze-like contraption which may become a tad messy if not done right. Rather, the trapdoor quickly opens once a diaper is placed onto it. We also love the built-in side door with liner cutter which allows for easy removal, tying and disposal of a heavy, loaded diaper liner. Plus, it also has a foot pedal which gives you access to the pail handsfree. The child lock system will give you peace of mind from both from child and pets. ​The Dekor Diaper Plus requires its specialised biodegradable diaper liners but we have tested it using regular trash bags and they work fine too. Dekor also comes out with its cloth diaper liners (one of the best pail liner for cloth diapers!) which fit like a glove into this diaper pail so if you are using cloth diapers, this will be ideal. 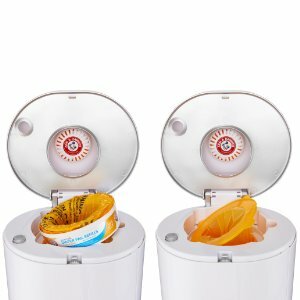 If you want a cheap, no fuss, no complicated twisting and turning baby diaper trash can, the Safety 1st Easy Saver Diaper Pail is your answer. 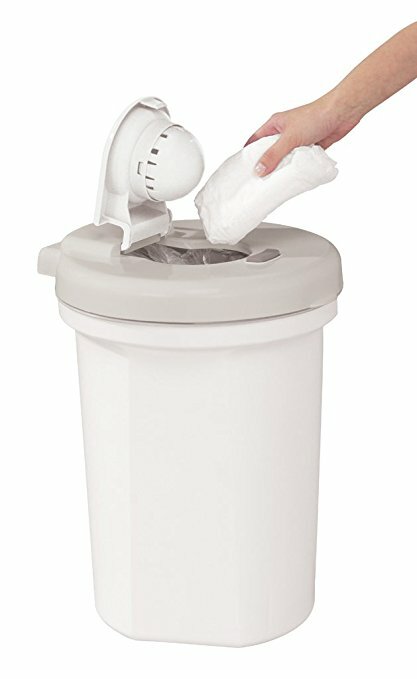 No specialised diaper liners or refill bags are required for this diaper pail - any regular trash bag will work fine. This means you can even use it as a wet pail for cloth diapers if you line it with a wet bag. And there is no hidden trapdoors complicating things - simply open the lid, toss your diaper in and close the lid. Once the bag is full (holds about 30 diapers), simply remove it from the pail and toss it away. It couldn't get any easier than that! Keep in mind that the simplicity of this diaper pail means that there will be, to a certain degree, compromise in terms of odor control. Made of plastic and without trapdoors to further seal in the smell, do not expect it to work as good as the above top rated diaper pails but nonetheless, if you are on a budget, the Safety 1st Easy Saver Diaper Pail cannot be more affordable. So what if you are using cloth diapers? 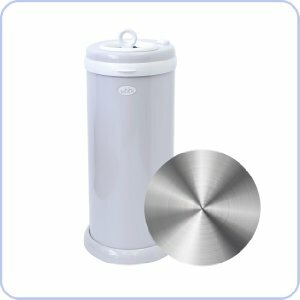 What is the best diaper pail for cloths diapers? 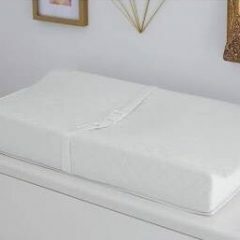 It is important to understand what you are dealing with first with a cloth diaper so that you can know what to look for in a diaper pail. 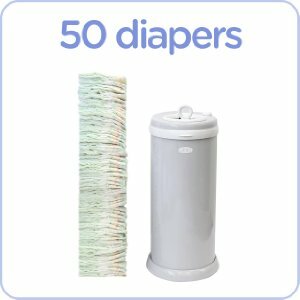 What may be the best rated diaper pail may not be the best pail for cloth diapers. You may find out more about the cloth diapers here in our guide but in short, the biggest issue we are dealing with here is that cloth diapers need to be rinsed first before they are stored away in a diaper pail to wait till wash day. 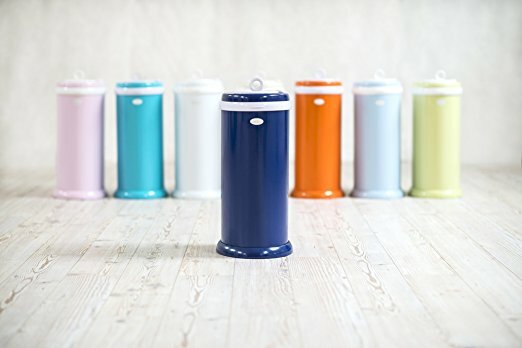 This is where it differs so much when it comes to choosing the best cloth diaper pail compare to those for disposable diapers because while a diaper pail works to seal in odor, it also means that bacteria and mold growth are promoted in the air-tight compartment. This is not much of a concern for disposable diapers as they will eventually be disposed of but for cloth diapers, this is bad news. As mentioned in our guide, cloth diapers need to be rinsed beforehand and as we all know, a wet environment promotes growth of bacteria and mold faster. You do not want these nasty stuffs in your cloth diapers as they will be reused for at least a few years until baby is potty-trained. 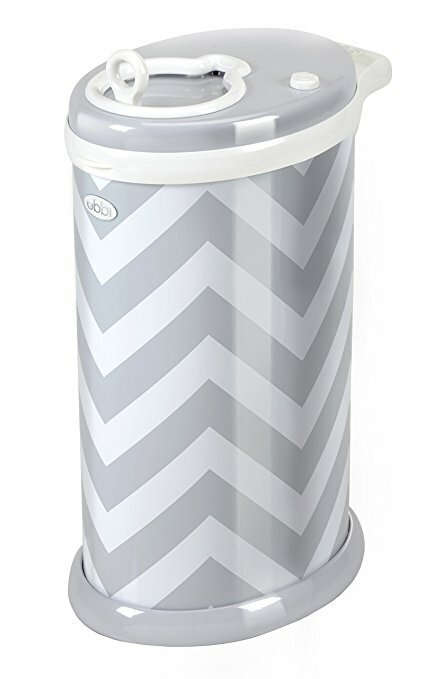 The Ubbi Steel Diaper Pail is the best cloth diaper pail in our opinion. While its steel material is ideal in eliminating odor (in fact, we think it is the best diaper pail for odor control) and it has all the incredible features a top diaper pail should have (see our Top 5 Best Diaper Pail Review above), the main reason we choose Ubbi diaper pail for cloth diapers is that it is compatible with most wet diaper bags. 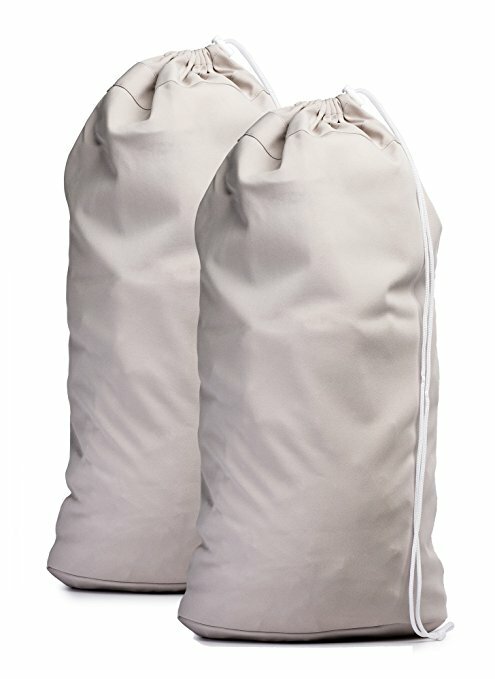 We understand that you would want to use normal trash bags (mostly for economic reasons) and while the Ubbi is perfectly compatible with them, we would recommend using a wet diaper bag because it resists most odor and stains from wet diapers, thus making it the best cloth diaper pail liner. 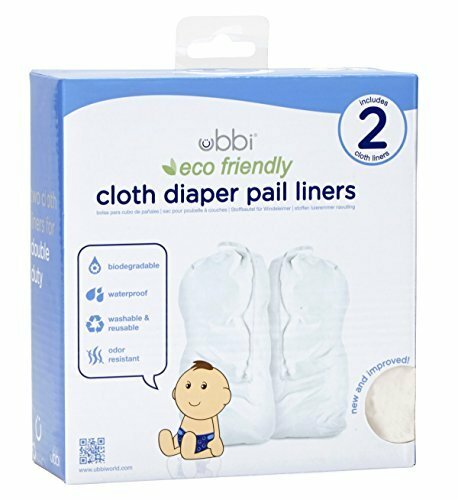 The Ubbi has came out with its own cloth diaper pail liner, another reason why we think it is the best cloth diaper pail because it means Ubbi has taken cloth diapers in its consideration when designing the pail. Not many other brands will do so. 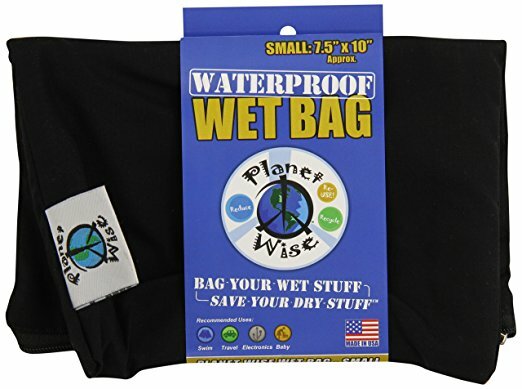 While Ubbi's biodegradable liner is not too expensive, we think the Planet Wise is the best cloth diaper wet bag not just because it is cheaper but mainly because it is waterproof (no leaks!) and machine-washable. This means you can chuck the bag with all its dirty contents into the washer together in one go - so convenient! And because of this, the wet bag is reusable which in the long run, may be even cheaper than using regular trash bags. It also fits really well with the Ubbi design. The only slight qualm that we may have is that it does not have a pedal mechanism, meaning you will have to use your hand to slid open the lid. 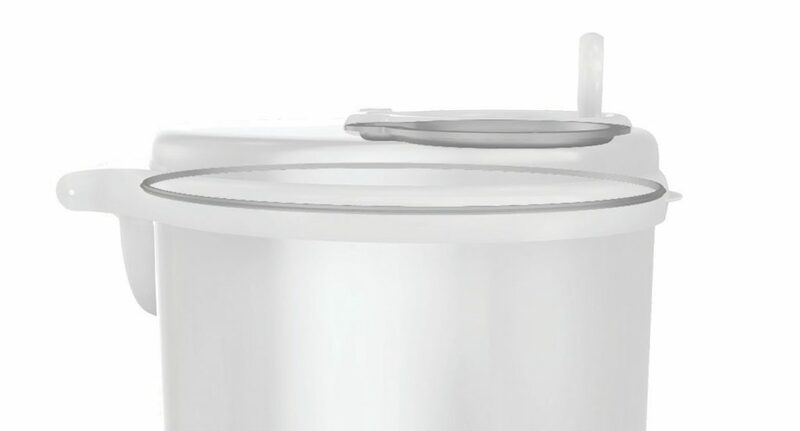 Given that this design is to make the pail airtight with its rubber seals around the rim, we think this is a worthy trade-off to keep all the smell trapped inside. 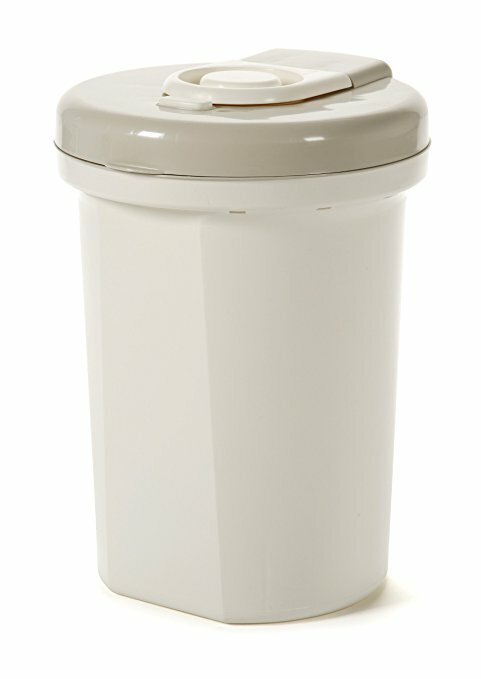 Look no further if you're in the search for the best pail for cloth diapers - the Ubbi Steel Diaper Pail is your answer. While it may be slightly pricier than others, it's so worth it for all the benefits and convenience it brings for cloth diapers users. You can always use it as a regular trash can once baby outgrows the diaper phase - its design will blend seamlessly into your household - to get your money's worth! Keep odors away: While we are certain that top diaper pails (like the ones we reviewed above) will keep odors contained, you should always choose one that is made of metal for it to be foolproof. If it is made of plastic, make sure they are high quality ones. Liners: You will want to stay away from those that require a specific type of refill liners (usually scented ones) if you want to save money because these liners are usually more expensive and the amount certainly add up over the years. Find one that allows you to use regular trash bags instead. 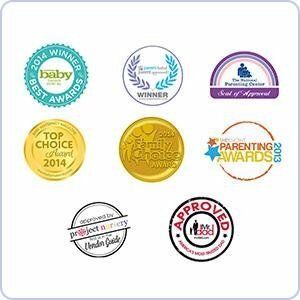 Ease of use: We are sure this is something every parent will want but what's easy for one may not be the same to the other. For example, some may really dislike having to push a poopy diaper through a clamp-like device while others may not be too bothered by it. If you are the former, look for one that has a simple opening hole that diapers can fall into. If you dislike having to hurl a bag full of heavy dirty diapers out from the top, choose one that has a side door to have easy access. Foot pedal: We think this adds so much convenience to an already wonderful diaper pail because often than not, you will be carrying your baby. A foot pedal allows you to dispose a used diaper easily without having to have both hands free and trust us, this is worth the extra money you shell out for. If you think this is not necessary, choose a diaper pail that can be opened easily. Storage capacity: While most parents will want a diaper pail that has a large capacity so that they do not have to empty it everyday, we would advise against getting one that is too big because the bigger it is, the more diapers there are sitting inside and the smellier it will become. Or if you are a cloth diaper user. This is because you should not store too many cloth diapers in one go as they will need to go to the wash more frequently (usually 12 -15 diapers in 1 wash is recommended). Also, it is easier for bacteria and mold to grow if too many wet diapers (they need to be rinsed first, remember?) are put together for a long time. For disposable diapers, you do not have to worry about this as they will all be disposed of once your diaper pail is full. 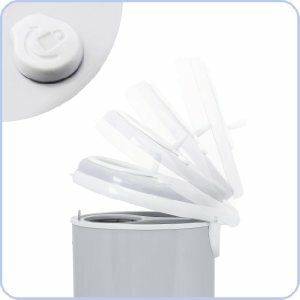 Diaper Pail Deodorizer - A good diaper pail deodoriser will purify the surrounding air and eliminate wretched odors. Choose one that is pure natural and hypoallergenic like this or this (Diaper Genie and Dekor Diaper compatible). Nursery Air Fresheners - These usually come in disc forms that are filled with baking soda and scents like lavender or rose. 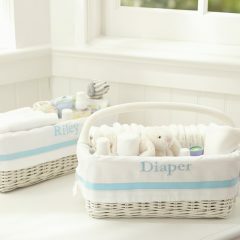 Not only can they be used in diaper pails, you can also use them in your diaper bag, changing table, hampers and more. 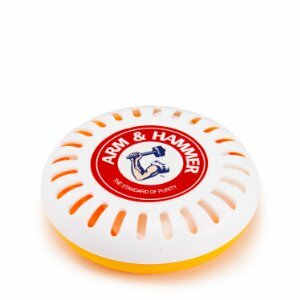 We recommend the Arm & Hammer Nursery Fresheners.